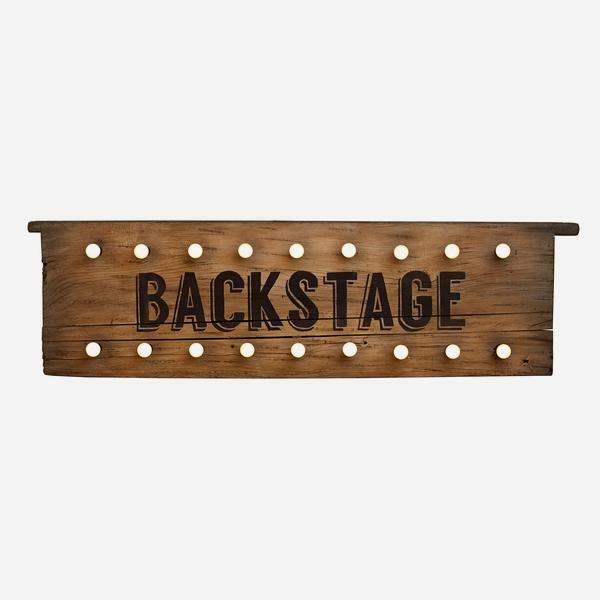 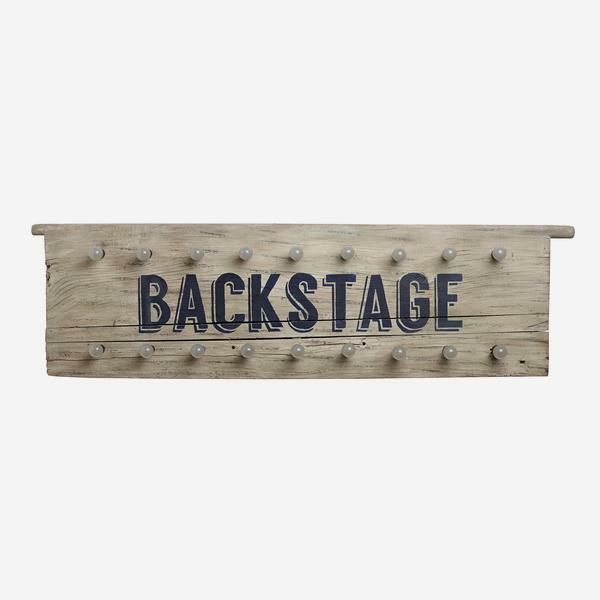 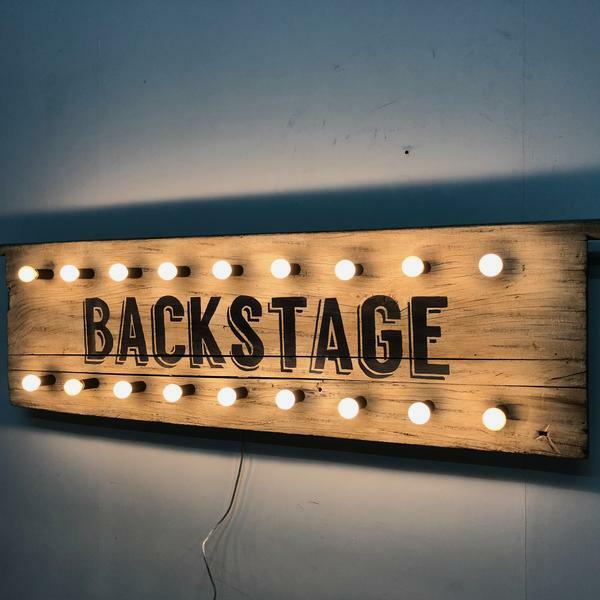 A large rustic wooden wall art with the word 'Backstage' painted in navy blue cinematic script and surrounded by a string of lightbulbs. 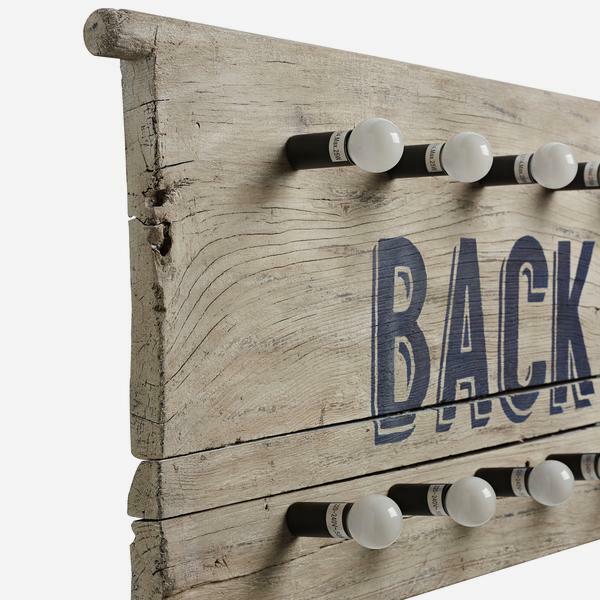 This is where wall art and lighting collide, with an added sense of fun. 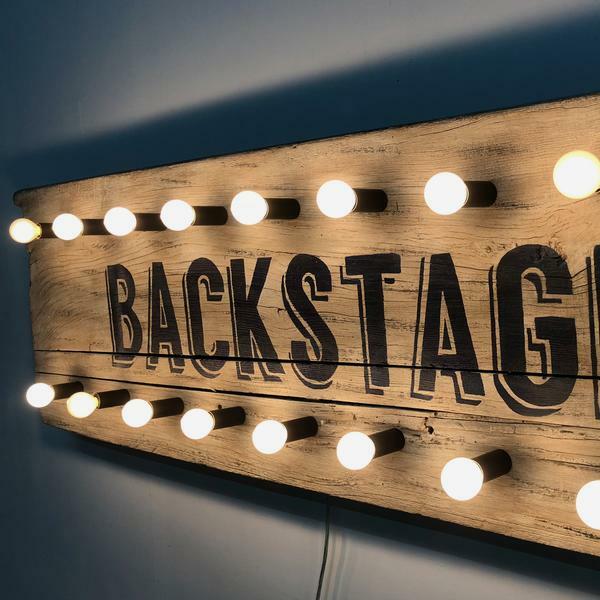 Let it transport you to dressing rooms of the stars.